Hey, we’re stoked to see you here! We’re James and Kellie Wenzel. Just an ordinary couple on a journey doing extraordinary things! There is nothing too special about us, but we are special to each other. 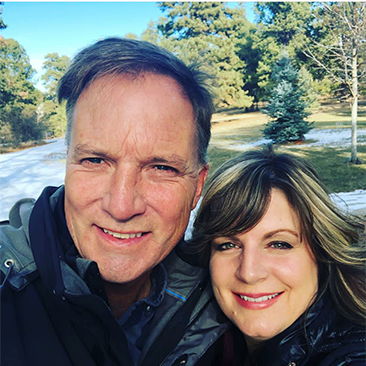 We will be celebrating 25 years of marriage in 2020, we work hard every day, at a normal 9-5 job, play hard on the weekends, or whenever we can take a few days off. We have traveled the world finding ways to enrich peoples lives along the way. That’s what Wenzel’s Wayside is all about. Enriching lives along the way. We even started a Non-Profit called Enrich Lives. My hubby James is a professional CA. Land Surveyor. (so if you ever need your lot surveyed, you can call him!) And I am currently working at a Commercial Glass Company handling the million dollar contracts. I lead worship on the weekends at a local church we attend and travel doing worship at conferences and women’s events. 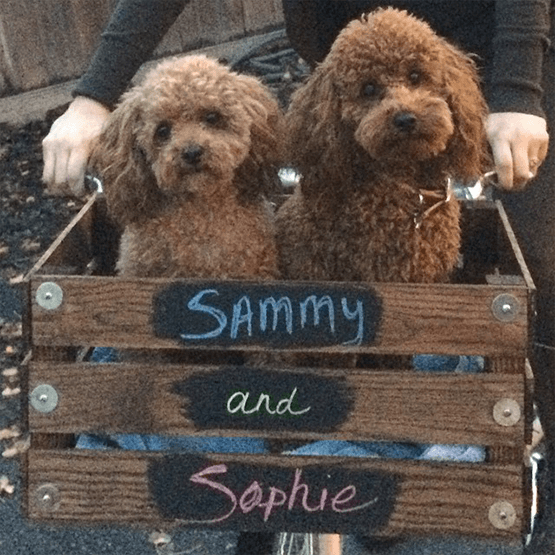 We have two toy poodles, Sammy and Sophie, who travel and hike all over the place with us in our 5th wheel. This is an older picture of them when they were a bit younger. They are great little travelers and you will see them in almost all our adventures! 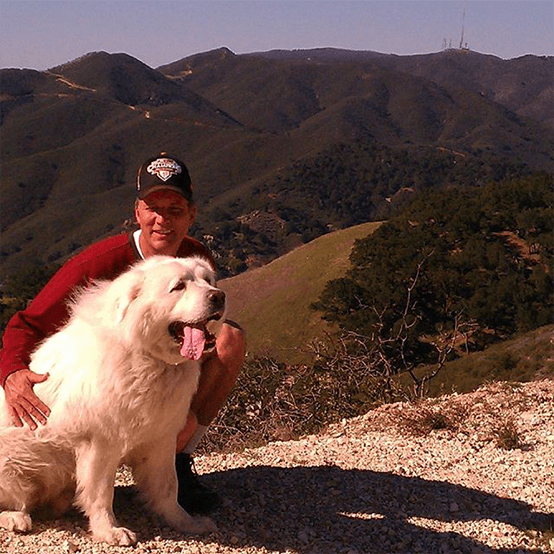 We love to hike! 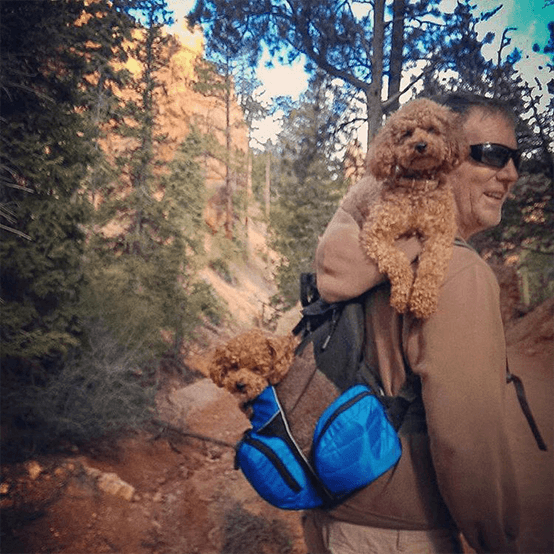 We even hike with them in our back-packs when dogs are not allowed on the trail. “Are they walking on the trail?” No! So how can it be illegal?? This picture was taken at Bryce Canyon, people all over the world were taking pictures of Sammy and Sophie, they have become a bit famous! This is Titus! For the past 20 years we have always, actually, had Great Pryeneses, (4 of them) he is our last one! He actually just passed away July 2018 at a ripe old age of 15! We will keep his picture up for a while on the site just for a little bit longer, since was such a long friend and protector! We love and miss you Titus! The tradition of Wenzel’s Wayside came from James’ grandfather who had a sign outside his house called Wenzel’s Wayside, this was to represent that their home was open to all and then it followed with James’ dad and now us. We’ve had our sign up for over 20 years and have had many people stay in our home from all over the world. We feel our home is a place of rest and peace, and many people came to seek that. But we wanted to go further with Wenzel’s Wayside, we wanted that place of rest and peace to go beyond just our home. We wanted to create a legacy of enriching lives along the way. James and I have traveled extensively to other countries seeing ways we can enrich others lives. And now we want you to be a part of this great adventure too!